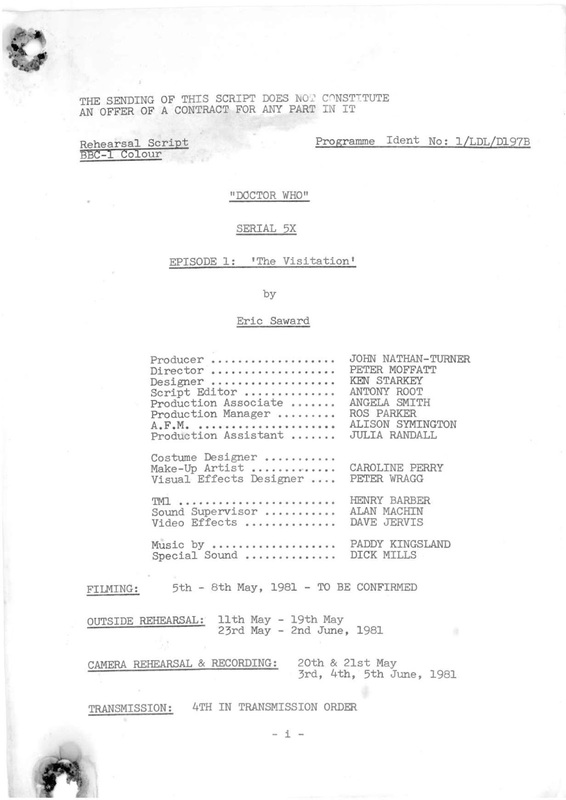 From the Archive: A British Television Blog: 50WHO: After All, This Is How It All Started! 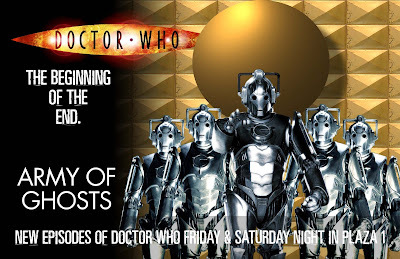 This is the first part of a series of articles celebrating the 50th anniversary of Doctor Who. Over the years there are certain stories that mean a lot to me either from personal memories or involvement I had in fandom through the years. These articles are not meant to be close examinations of the plot or production but more about what these stories mean to me on a personal level. Enjoy. Back in July or August of 1984, my life changed. I hardly knew it at the time. I was about to watch Doctor Who for the first time in my life. Looking back on this period now, I find it hard to remember what life was like prior to watching Doctor Who. What did I do for fun? My family thinks I am a big fan of science fiction which is not true. I was enthralled with Star Wars which I was 4 when it came out. Because I loved it, my Mom assumed that I loved all science fiction. This would work in my favour as she was about to introduce me to something that would be a game changer. In the summer of 1984 I was 10 years old and was about to enter into 5th grade. I think it was late July on a hot Friday night. I was home it was later in the evening; sometime after 10pm. Out of nowhere, my Mom calls me into the kitchen. What did I do wrong now? I was always getting into trouble as a child. She was watching this program that caught her eye as she was channel surfing. Of course, surfing channels back then was about 6 to 8 channels. I walked into the kitchen to a program that already started. My Mom was taken by the characters colourful and fun costumes. One character was a really colourful robot who dressed as Death…as one does. The other person’s costume who my Mom thought was cool looking was a blonde haired person with a beige coat and red piping going down the jacket. He was called the Doctor. I assumed I knew the name of the program right away. Of course it was Doctor Who. I knew about Doctor Who and I knew some of the kids at school would watch it. In fact I think I changed channels through to a story before and moved right along. It may have been Revenge of the Cybermen. At that time it did nothing for me but now was a completely different feeling. I sat there and watched. My eyes were glued to it. I have never seen anything like it yet it was destined for me. It is almost like race memory in Quatermass and the Pit. The feeling of something sleeping dormant in my brain my whole life ready to come alive. My impression of the story was one of amazement. My first thought was one of awe. I knew the look of videotape opposed to the look of film. The sheer confidence of a science fiction series being shot on videotape was truly amazing to me. I also thought about the Terileptils. These are monsters but they don’t go “roar”. They are not chasing anyone around; there are no women screaming in terror. The Terileptils are smart; they speak intelligently. I picked up on that right away. Although the leader was hugely scarred, he spoke so eloquently. The scene where he is talking with Tegan and Adric so calmly, perhaps gently, to coax information out of them, his tone was almost hypnotic. As a young man, these were very impressionable points I picked up on. Then, there was the Doctor himself. 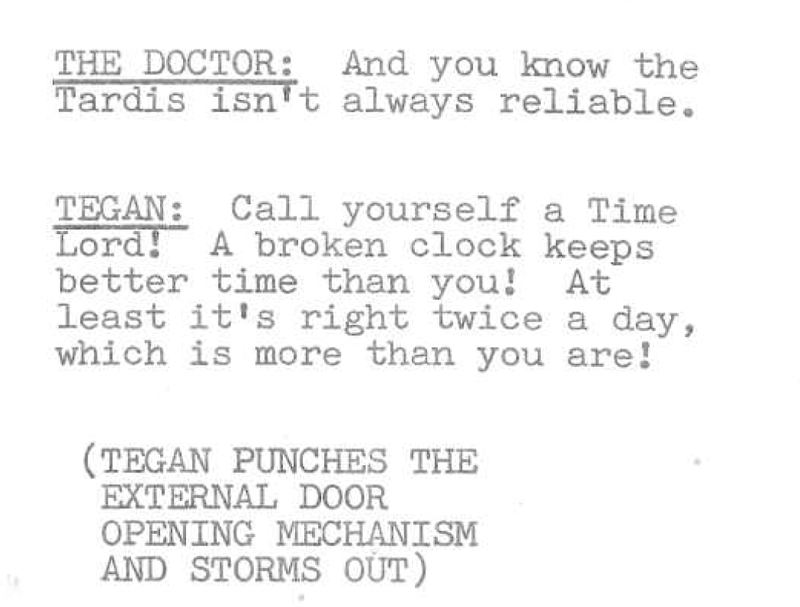 It’s funny to think of a time when I had no idea of the backstory to Doctor Who. 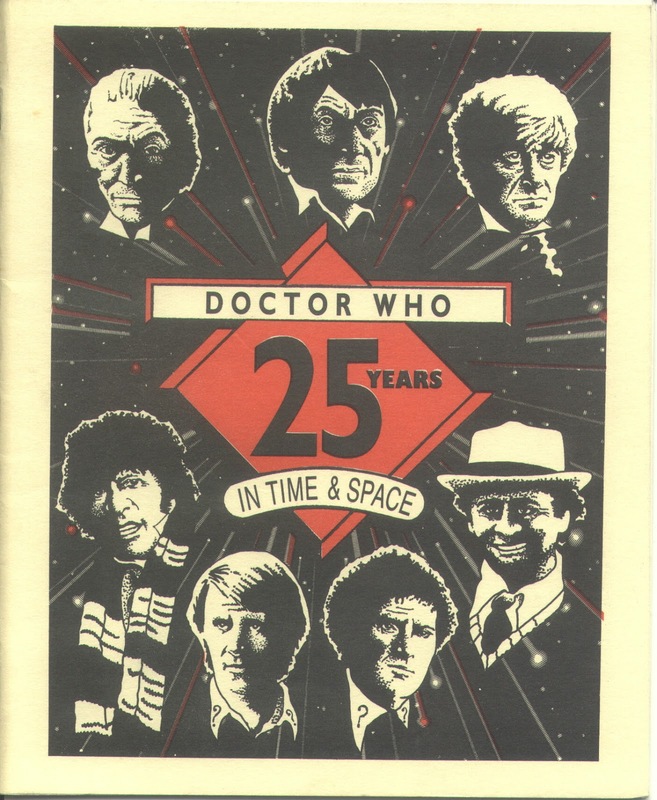 When I started watching the series there were five Doctors….news to me! Actually, I figured there were at least two Doctors. As I mentioned earlier I knew there was the one with the long scarf. Everyone knew that! 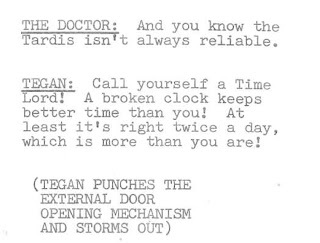 I liked the Doctor because he was younger. He had young friends and they would get into danger and need to be rescued. Those are things I found very interesting in watching in a program. 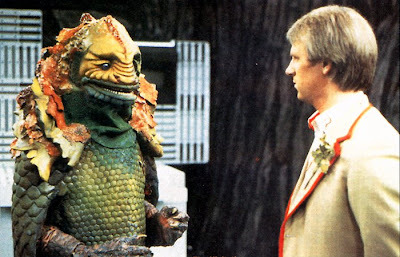 I didn’t know what a Cricketer uniform was nor did I understand why the Doctor wore a piece of celery. It didn’t matter as I was loving this viewing experience. What about that Android? I didn’t see the beginning of the story, I didn’t know what was going on but I was digging it. Watching the Android dressed as Death and waiting in the woods is a nightmarish visual yet it didn’t scare me. The contrast of a dark cloaked figure in the greenery was creepy but cool. The shot of him coming around outside the TARDIS when Adric sees Nyssa is a little frightening and it’s great tension. The demise of the Android is sad as it is trying to protect itself firing at the machine that is trying to destroy it. Richard Mace is a great character. In fact, I would say he was one of the greatest guest characters ever in the series. I wish he would have been in more stories but it wasn’t meant to be. It sounds like Michael Robbins who played Richard Mace looked down on this role. Apparently it is alluded to in the commentary. Yes, I have not listened to the commentary yet. It is too bad but he never lets on in the acting. He is memorable and is one of the best things in a story that already has a lot of good things going for it. I also love the set design of the Terileptil ship and headquarters in the house. I love the design but also green tint on everything. Finally, I had an instant crush on Nyssa. When watching it on my PBS station KTCA, they were showing it as a movie version which means all 4 parts are edited together as a movie. So, apart from what I missed in the beginning, I was able to watch the entire story that evening. That’s when I heard the music. The end credits were probably what really sold me on the series. The music itself was like nothing I’ve ever heard before. I remember for a few weeks trying to hum what we call “the middle eight” of the end credits before getting it right. Also, I was in love with the title sequence. It looked so good. I really felt like I was travelling in space. I loved the prism of rainbow light forming and coming towards us. I also loved the idea of the lead actor’s face just appearing and coming at you with this distinctive music backing it all up. The one thing that I thought immediately was how did they do this? How was this made? I remember a friend told me he thought it was done by computers but I knew better. Plus, that was his answer for everything; done by computers! I just didn’t know how they did it though. Also, is it just me or does that photo of Davison in the opening/closing credits even look like him? It’s the eyes! I love it. It’s pretty clear why this story means so much to me. It was important for me to use this story as a way to launch these articles I am doing for the 50th anniversary since it was the way I launched into living. It’s either really cool or really sad that much of my life has revolved around this series. When I started to really get into Doctor Who, I wanted to share my enthusiasm for it……with everyone. I wanted to show all my friends the stories that I was enjoying. Looking back, I feel bad for a few of my friends who I forced The Five Doctors on quite a few occasions. I kept thinking that this is the one that I am going to get them hooked on. It was only a matter of time. Soon everyone at school knew my obsession for the series. I would tell them why they needed to watch a certain episode coming up on the schedule but no one would. It took me a long time to realize that not everyone would like the series which is OK. A long time ago I decided to stop trying to force people to watch the series. The last time I remember was when I worked at my first advertising agency in 1996. A group of us would get together for lunch every week and we would bring a program in to watch that meant something to us and we all seemed to like the same genre. For example, one week someone brought in animated Johnny Quest and so on. I brought in Robots of Death. It was almost instantaneous from when I started the tape to when the laughter started. I was basically laughed out of the room. I decided that I would not do that again but I am jumping ahead of myself. I guess the point of this article on The Visitation is to explain how one seemingly insignificant moment can change someone’s life. Back in school, none of my friends liked Doctor Who. They were polite to me about it but I know they were sick to death of me talking about it. Looking back, I was over the top. I needed to be more connected to the series. Along with loving Doctor Who, I became a very big fan of PBS. I got a very healthy appreciation, at a young age, for what they were doing. I loved their programs and I liked how they were different (visually and philosophically) from other stations. I loved pledge drives; especially when they spoke about Doctor Who. I did chores around the house and finally was able to afford a membership to KTCA. I was able to support Doctor Who and I received my first bit of Doctor Who merchandise for being a member. This was the album Doctor Who – The Music. 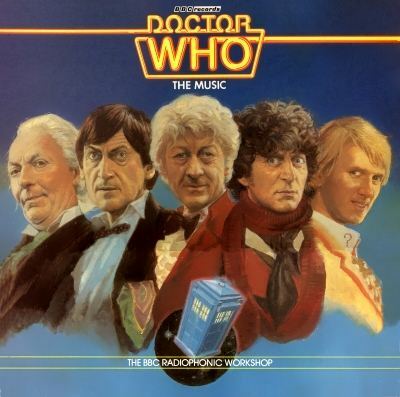 This was that album with the cover that had five people on it who looked nothing like the Doctors. In one of the issues of the KTCA monthly program magazine Scene, someone had written in to know if KTCA knows of any local Doctor Who groups around town. They gave the name and address to one of them called The Whoniversity. On my birthday, I found out my mom had got me a yearlong membership to The Whoniversity and to the Doctor Who Fanclub of America (DWFCA). My brain simply exploded. It was like never having chocolate before and suddenly allowed to run rampant in a chocolate factory. I read articles about the series and reviews of episodes I hadn’t seen on KTCA. Lots of talk and discussions about all sorts of Doctor Who things. As an addict, being part of a club was never enough. I went with a school friend to a convention in Roseville at a venue called Paul’s Place for a convention put on by the DWFCA. They brought in Louise Jameson as guest. It was my first look at a Doctor Who convention. There were props, episode screenings and of course Louise Jameson. It was great! I remember nearly being overly eager as I nearly bought a Mythmakers tape because I thought it was the lost story The Myth Makers. I had no idea about the Reeltime productions back then! It was a great first convention but it wouldn’t be my last. The one that really changed everything was Time Festival 88. I started to meet people who were into fandom and at that point I wanted to get involved. In September of that year, I was invited to a Whoniversity meeting at Minnehaha Falls park to discuss the club and their new video they wanted to produce called Eye Strain. The club was being run by new people and they needed help on the new direction. I was no longer on the outside but taking part in the club and meeting other people in fandom. I started to work on the Whoniversity staff as the guy who would get the videos for the club meetings. I eventually became President of the club. During this period, as a 15-16 year old, I travelled with friends to all other conventions around the country to promote our club and our conventions. We put on our convention called PseudoCon which we had John Levene as our guest. He stayed in my parent’s house for a week. I could write a whole article of its own based on that week alone. I think we did him proud as we gave him a lot of exposure to the Twin Cities. After years of the Whoniversity, it came to an end. I think the problem was is that we started to take ourselves too seriously. There are people out there who think we screwed them (we didn’t) and to this day, there are people out there who still remember the name The Whoniversity and shiver a little bit. Makes me think we should start it up again! I still stayed active in the fan community with working with other clubs and conventions. I started to work at other conventions in other states. I worked at Visions for years and eventually became a silver badge or ribbon. I have no idea what that meant. Then I started something that was really close to my own heart. 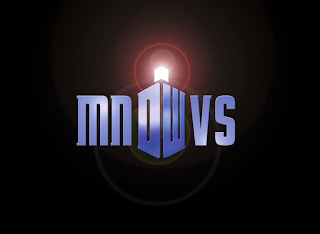 A little thing called the Minnesota Doctor Who Viewing Society (MNDWVS). 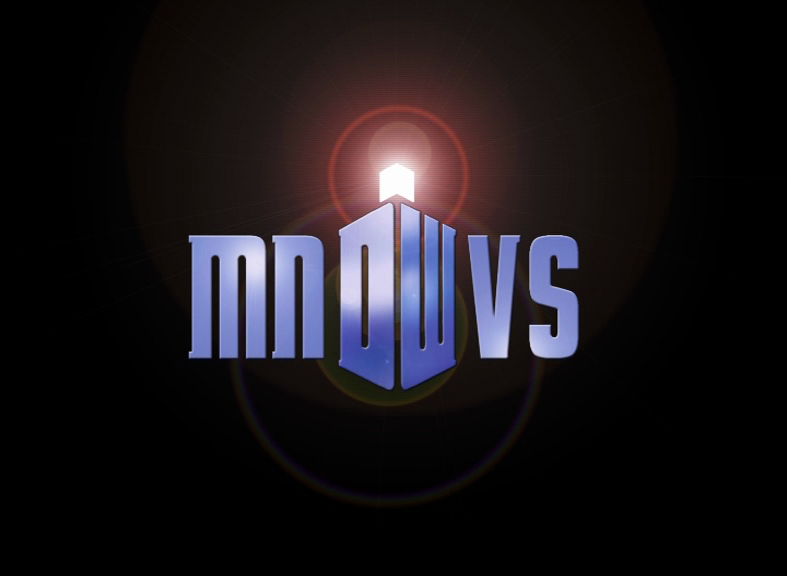 We began the MNDWVS because our local PBS station, KTCA stopped airing Doctor Who. This was 1996 and although the TV Movie recently aired, this was still “The Wilderness Years” for the series and it certainly looked like the series was not going to be returning. We started out at a house where we watched one story a week from the beginning. We made it to the end of Season 1 before mixing things up. We got good press from the start. The newspaper, The St. Paul Pioneer Press, wrote about us early on in our formative days. We moved to a library and showed countless hours of programming. We had many video rooms in different places and we even brought Gary Russell from the UK to the very first CONvergence in 1999. Even though we haven’t been officially active in a few years, people still get confused. There is a group in the Twin Cities that is very similar to what we are. The place they hold their get-togethers billed that group as the Minnesota Doctor Who Viewing Society instead of their own name. I just noticed that this week. We have made a lasting impression. I would love to start running this again on a regular basis. Currently, we have been just running private viewings by invitation only. I love the MNDWVS! Even after all of these years of not being super-active in fandom or having what I call a “Fan-career”, I still get asked to take part in help starting up conventions or to give advice. I remember I was asked to give advice to Red Dragon Hobby when they wanted to approach KTCA to bring Doctor Who back on the air. I sat in a meeting with them and KTCA programming people to discuss the logistics of bringing the series back in MN. I like to help when I can but rarely do fan stuff anymore. I keep to myself much more than I used to and to be completely honest, I love writing for this blog! I get satisfaction from knowing that people read it and enjoy it. I get a decent amount of feedback per week of people who like what they are seeing. If that is not enough, I take part in the Omega Podcast. I never thought I would do a podcast but I was lucky enough to be asked to help out on this which has been a huge amount of fun. Should I do a podcast to tie into this blog? A From the Archive British television podcast? I have been all over the world. I have met many stars from Doctor Who and people who worked and currently works for the program now. I have a lot of contacts in the industry and have a lot of cool projects going on right now that hopefully pan out and has something to do with our favourite show. My 10 year old self would never believe the exciting road watching this series would take him. I never would have these opportunities if my mom didn’t call me into the kitchen to watch a multi-coloured Android. Over the next 12 months I will be examining different stories from each Doctor. 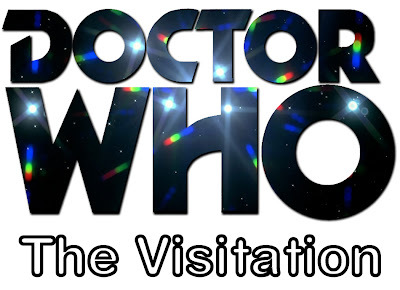 I had chosen The Visitation because after all, that’s how it all started. Thanks mom for showing this little 10 year old kid this very special series! I have been watching Doctor Who from the beginning one episode a day for a little while now. As of writing this article, I am about to begin The Time Meddler with Episode One The Watcher. 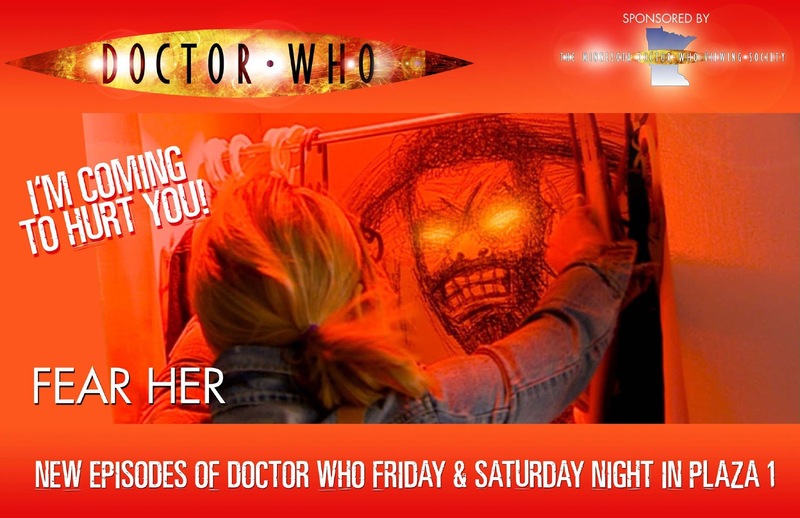 Are you watching Doctor Who in order for its 50th anniversary? Where are you at? 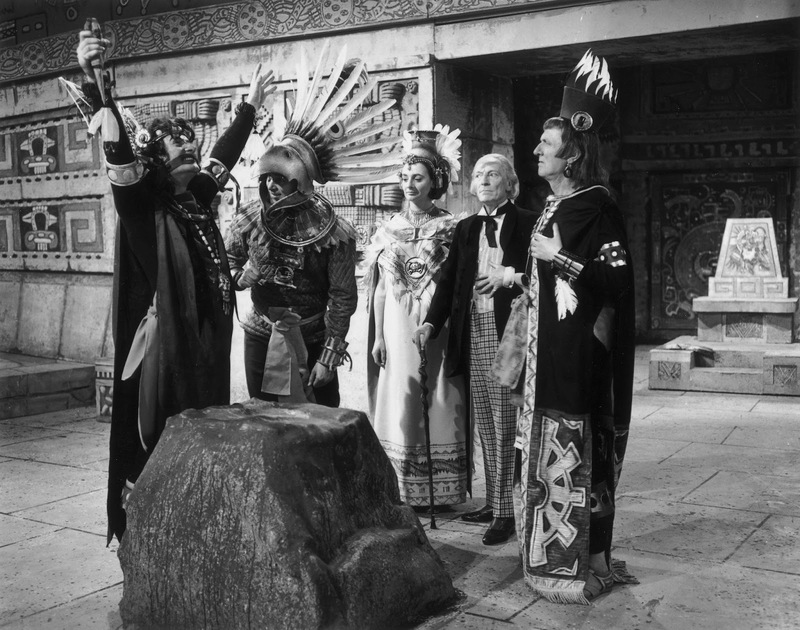 This is old news but I am still reeling from the announcement that BBC America will be showing the William Hartnell story The Aztecs on January 27th all part of an ongoing series Doctor Who: The Doctor Revisited. This is a great step in the right direction and reinforces to me how BBC America is committed to Doctor Who. I think this year will be a bumper year for being a fan. Enjoy it while you can! Nothing lasts forever! Cherish it! Next 50Who article: I am not doing these articles in Doctor order as that would be too predictable. Just about everything that I do on this blog is randomly chosen so this should be no different. In mid to late February, I will publish the second 50Who article featuring the Ninth Doctor as I look at Rose. For so many of us, this was a time of unparalleled excitement. Did Rose live up to the hype? Next Week: I go back to some British comedy that doesn’t get seen a whole lot. 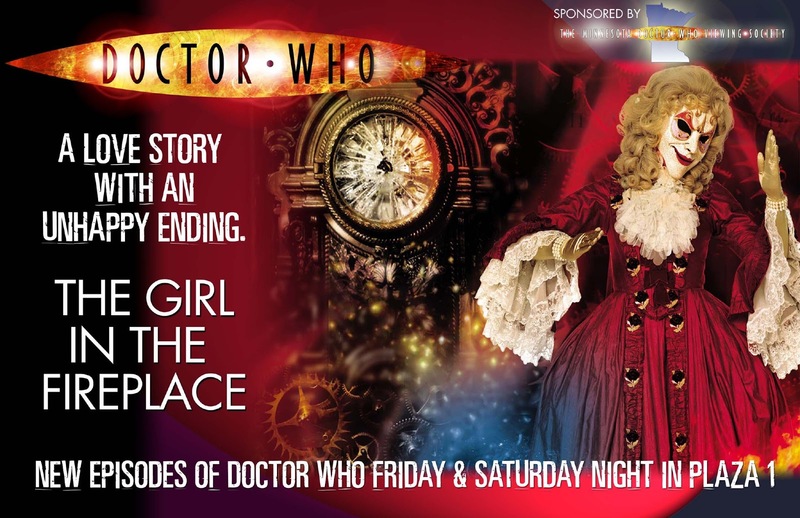 I think that would have been a different story if more episodes existed and got over here on PBS. I look at 2 episodes from All Gas & Gaiters: The Bishop Shows His Loyalty & The Bishop Has a Rest. Well now, lots of wonderful memories here - The Whoniversity, LeelaCon at Paul's Place (I actually was a co-winner of the trivia contest! ), TimeFest. CONVergence, MNDWVS. 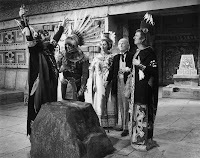 My first memory of Doctor Who is a bit from Destiny of the Daleks, but no idea when I would have seen it. The first story I remember properly watching was The King's Demons sometime in 1984. Good times - thanks for the memories! It's fun thinking back to all of that. 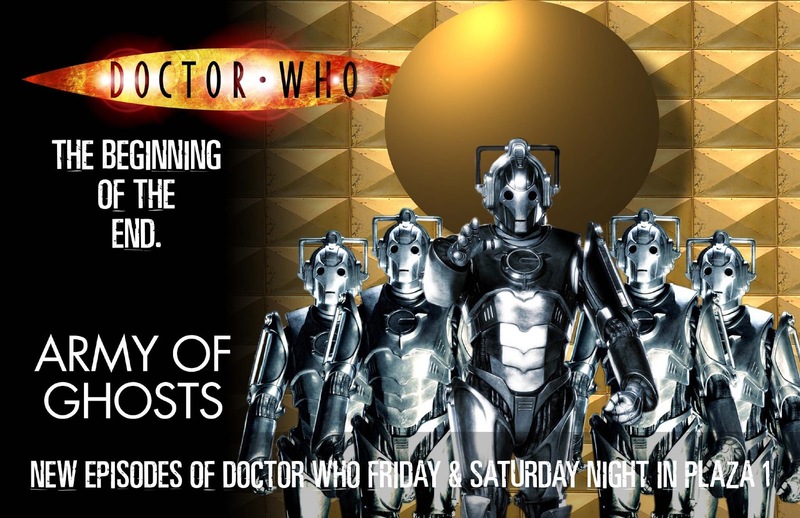 You wait until I write about the first time I watched Remembrance of the Daleks! You were there! I have one that I am looking at selling near Minneapolis.